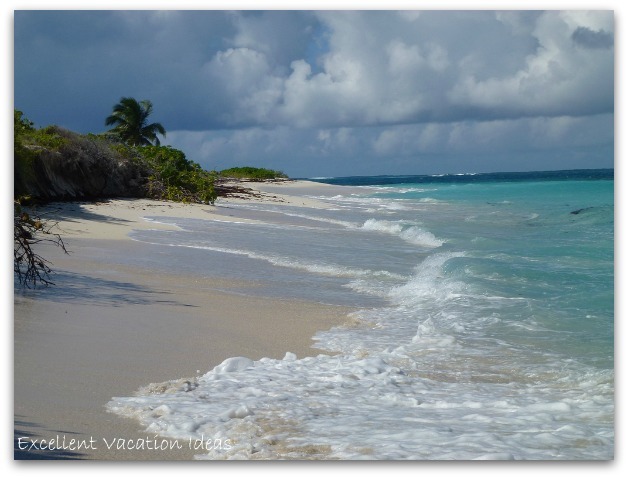 Anguilla Island - A beautiful, romantic quiet island with lots of quiet or deserted beaches for you to enjoy! 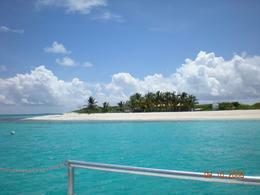 Anguilla is the island to choose if you are looking for a quiet, romantic holiday away together. 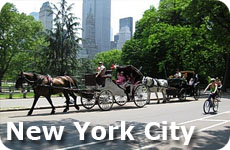 You will find great restaurants, beautiful hotels and quiet, if not deserted beaches to enjoy. In November of 2011, I was fortunate enough to attend a conference in Anguilla, located close to Saint Martin in the Caribbean. To be honest I had never really thought of this island as a vacation idea, as I saw it as an expensive sleepy place that catered to the wealthy and famous. I can honestly say now that I was mistaken. Yes there are many expensive and exclusive hotels, villas and resorts like the CusinArt Resort and Golf Course (the only one on the island), the Viceroy Anguilla, and the Cap Juluca Anguilla, however, there are options for most budgets, including the Paradise Cove. I would say that this island is best for romance, as you can enjoy some amazing restaurants, the beautiful beaches and snorkel or dive the surrounding marine life. I stayed at the budget friendly (compared to the rest of the country anyway) Paradise Cove apartment style hotel. We took over the hotel for our small conference of about 60 people. It was located off the beach, but it was a short pleasant walk to the beach at Cove Bay. Smokey's restaurant is located here and there were never many people on the beach and we had a great view of St. Martin. Some people have asked if I would go back. I would have to say yes for the simple reason that it was the "epitome" of a quiet, romantic, beautiful and safe Caribbean island! We were in conference for 3 of the days, so I didn't actually get to see much except in the evenings. We tried a few great restaurants, met a great taxi driver named Frank (make sure you look him up), went to the beach at Cove Bay, had a short island tour (hey the island is only 16 miles long and 3 1/2 miles wide), and relaxed. Most people take a ferry from St. Martin. This is what we did and it wasn't too bad of a trip. Having said that I was flying in on a direct charter flight from Toronto and then taking the ferry. Some other brave souls had 2-3 flights to get there and then the ferry. The conference organizers arranged for us to take the Link Ferry. I think the regular rate is about $100 return and is a bargain. 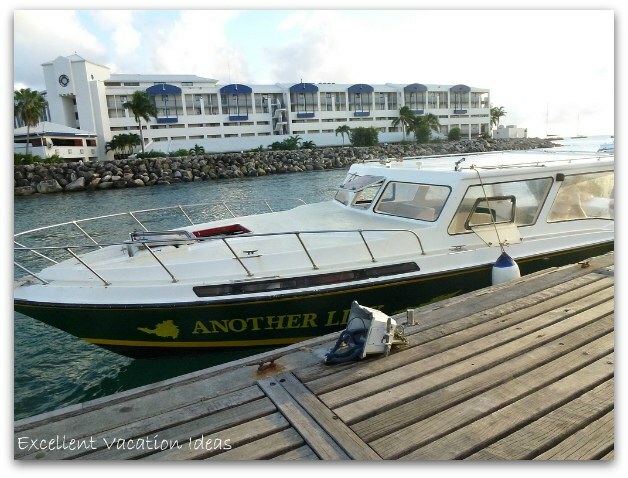 It included pick up at the airport in St. Martin, and the ferry to Anguilla. Just remember that you are on island time as I had to remind myself. We had to wait awhile as they we were on the last ferry and had to wait for a large group to arrive from New York for a wedding party. It wasn't a big deal, but make sure you have eaten before you start the process as you may not get a chance to eat. It took me as long to fly from Toronto to St. Martin as it did to get to Anguilla from St. Martin. Again "Island Time". The ride over was quite choppy but only about 20-30 minutes. The ride back to St. Martin was easier and took less time. They were extremely organized, although the customs and security at the Ferry terminal was a bit of a joke. You will have to pay a $20 USD departure tax in cash when you leave, so make sure you remember the cash. You can also fly to the island, but only from San Juan, Puerto Rico. One of the participants in our conference arrived early and stayed in a small hotel before moving to Paradise Cove. She called for a taxi and Frank showed up. When ever we needed a taxi (which are expensive here), Frank would give us a reasonable rate, and could accommodate 9-10 of us easily in his van. He was ALWAYS available, even after midnight one night when a bunch of people wanted to go to Elvis', a local beach bar. He even promised and came through getting us into a local restaurant - the Barrel Stay, when the one we wanted was closed. 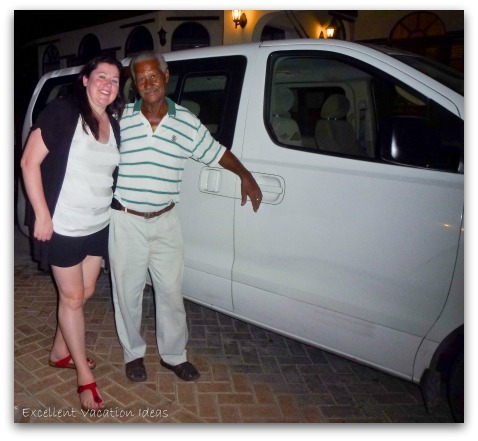 So make sure you call Frank when you need a taxi on Anguilla Island! His # is 264-497-4238 or his Cell is 264-235-4238. He will do airport and harbour service, and island tours too! 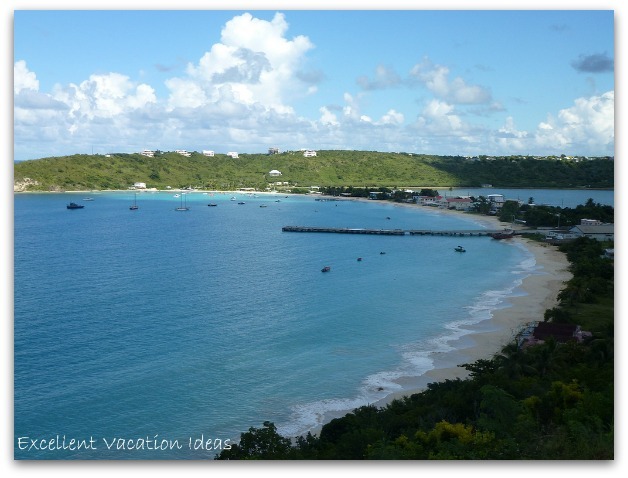 One family's villa vacation experiences in beautiful, friendly Anguilla. The beaches are the best in the Caribbean, and it's warmth is surpassed only by its people's. If you are in St. Martin, and would like to see the beauty of the Anguilla island, this is a great way to do it. After a sail along the shore line of St. Martin on the catamaran, you will enjoy the beautiful powder sand beaches that are never too busy! Leaving from St. Martin, this 1/2 ay snorkel trip will take you to Creole Rock where you will snorkel, swim and sightsee just off of Anguilla. Make sure you look out for the illusive frogfish while you are snorkel ling. They are rare and are found here.